Pointing to a picture makes it easy to become an oral storyteller using traditional folklore. 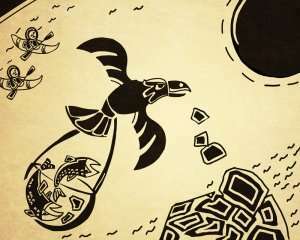 The Storytime Yoga® Kids Yoga Story Kits use traditional Japanese Kamishibai storytelling cards, like this one from the Inuit, Raven Brings the Light. My unique spelling of Storytime combined with Yoga has caught on over the years since I started in 2006 the world's first online kids yoga teacher training in the world, diffusing the concept far and wide. Originating in 2003, Storytime Yoga® blends the oral storytelling of multicultural folktales that are then re-enacted with yoga. I remember the e-course filled with mostly foreigners! Mothers and teachers from Egypt, Turkey, Mexico, Bermuda, The U.S. Virgin Islands, Canada, Ireland, Denmark, France, Germany, Sweden, The United Kingdom, Brazil, Chile, Colombia, Argentina, Australia, New Zealand, The Philippines, India, Indonesia, Singapore, Malaysia, Japan and Zimbabwe. Many were from the United States too, but they were outnumbered about five to one. I remember in 2005 submitting a proposal to a national conference in the United States. They declined my proposal, writing, "We just can't see how you can combine the stories and yoga." 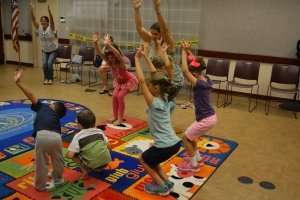 Even though my book, Storytime Yoga: Teaching Yoga To Children Through Story was nominated for the Anne Izard Storyteller's Choice award in 2007, it seems that Americans are reluctant to embrace oral storytelling and folklore in kids yoga classes and more. I've noticed that in the U.S., people who use the Storytime Yoga name in their classes only read a book while kids sit and listen, then maybe move during the story. The book choices are rarely, if at ever, folklore. I wonder, why is it that most U.S. kids yoga teachers do not use folklore nor the oral tradition but foreigners embrace it so easily? 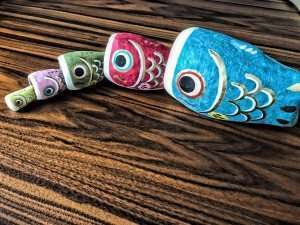 I will be using these fish matryoska that I found at the Japan Folk Art Museum in Osaka, Japan for my upcoming classes here. When you use folklore orally for storytelling and yoga classes, you not only maintain folklore, but you maintain an entire culture. Folklore and folk arts and music enliven kids lives and the world. It's not just all pop music and consumerism, a world devoid of soul and meaning. I realize now living here in Japan that it is perhaps the United States does not still have a living mythology and everyday infusion of folklore that Japan and other countries do. 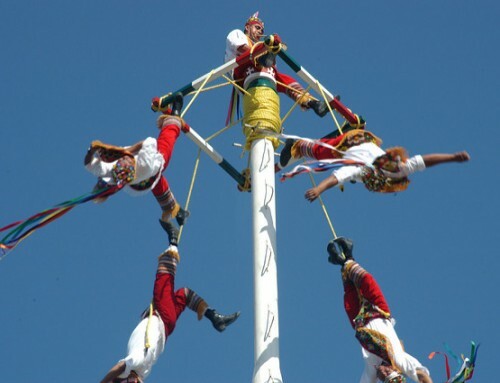 These countries' history is deeply related to folk traditions and stories. Stories that people still tell their children or in school, or are engrained in their culture and history, food or language. Also I think that it's out of North American's comfort zones to tell a story, the reading a book method the only known method. 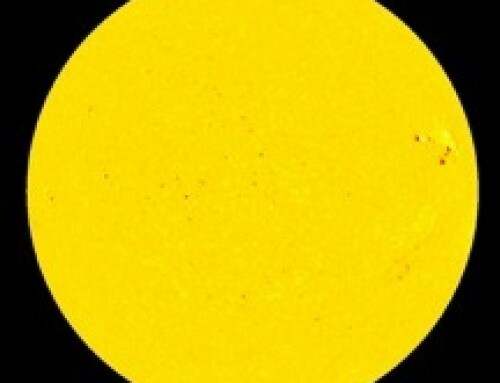 One follower said it's because of the rise of I-phones and other externally focused devices, not to mention television. Kids and teachers accustomed to people telling them what to do from the outside rather than having an internal reference from a myth or folklore that provided references. Recently there was an article in the New York Times encouraging people to memorize and recite poetry more often in an effort to save language. It goes beyond saving language, for the oral tradition is what saves civilization. I encourage you to try telling a story orally in your next kids yoga class! Not only will your creativity, body confidence and voice explode with fun, you will awaken the powerful storyteller within you! It's a yoga in itself! Read below for the benefits and some how-tos to get started. Kids love listening to an oral story in its entirety, which develops concentration and leads them into an embodied trance, pitched out of ordinary time and into a suspension of time and space - yoga! Then they act out the yoga. 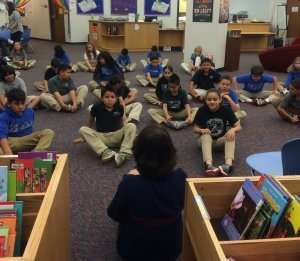 I taught here at a STEM Launch magnet school in Thornton, Colorado and the kids loved learning with the Storytime Yoga® method of embodied storytelling and the oral traditional! Storytelling and yoga really work! Kids have to be in the present moment when an oral story is told. Original images are created within the body, not from an external source. Kids who are having a book read to them have the opportunity to zone out or be the back of the room kid who is not included. Oral storytelling reaches every child. Oral storytelling helps kids with original thinking and is especially good for kids with ADHD. Oral storytelling synchronizes the mind to the body by forcing it to create original images internally in the body rather than passively consume external images from a book. Spellbound, is what I call the kids who are intently listening. I remember a mom saying when she picked her son up after class, "How did he do with his ADHD?" I said, "He has ADHD?" I said." I had no idea! He was great!" Oral storytelling is primary and reading is secondary. Studies show that kids, especially minorities, who hear oral stories become book readers. I never dumb kids down with simple stories, but choose exciting folktales with rich language. Using complex and sophisticated language and oral stories is proven too helps kids learn too! The Queen of Bohemia in action teaching kids yoga classes with storytelling in DeLand, Florida. Oral storytelling helps kids master the symbolic relationship of sounds to images and language, which leads mastering other symbolic language, such as reading, computers, math, music and more. Oral storytelling activates the power of metaphor, imagery and more. When connected to the body, kids have more embodied effect, access to their inner lives as well as "a ha" moments of discovery about themselves. Hearing a story can be healing and therapeutic. Folktales have been told for thousands of years to give guides of how to live with crisis. 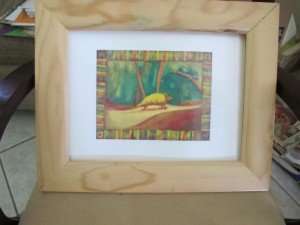 Instead of seeing already created pictures, kids are able to crate their own pictures, associations and references to their lives, initiating unconscious healing work. I used a Japanese folktale in many instances. Kids learn via total physical response, embodied storytelling, I call it. Here at the DeBary, Florida public library. Storytelling and yoga educate kids from the inside out! Not the outside in. Folklore and the oral tradition give kids roots to culture and ancestors, roots kids in the United States don't tend to have in its melting pot mindset, which is wonderful, but also leaves kids growing up in a consumer culture or via the television. "When families are no longer able to generate rites that can interpret the surrounding world and transmit the parental culture, children find themselves cut off from reality, and they have to create their own culture - a culture of archaic violence..." - Boris Cyrulnik, French Psychologist Save civilization and bring folk to life! Folklore and oral stories ARE the yoga, as oral storytelling suspends time and space, just like yoga. Yoga means union. It's not just an exercise program as many people think. Yoga asana is only part of the program. The fantastic images of talking foxes or mythic gods pitch kids out of ordinary time and into sacred time of the transcendent. They experience it themselves from original images created within guided by the teller's voice. Fantasy can also help kids learn. Yoga's yamas and niyamas are taught best through a story, not by lecturing. 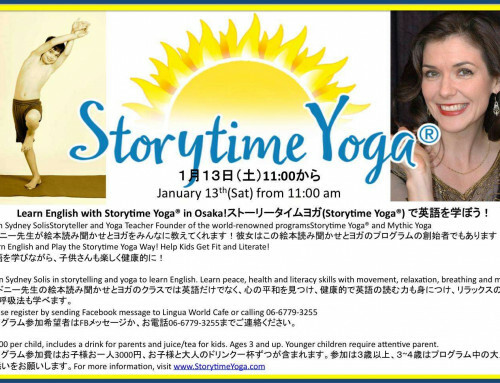 Storytime Yoga®: The Treasure in Your Heart, Stories and Yoga for Peaceful Children, is replete with multicultural folktales to bring inner peace and to help understand the common thread of all cultures. Understanding other cultures leads to peace and character education. The book is used in the Yoga Kids® Teacher Training yoga philosophy component. 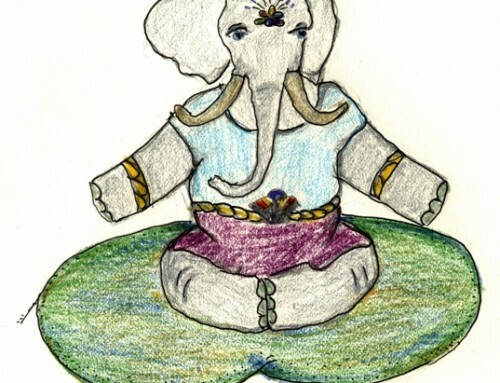 Stories are the best way to teach yoga philosophy, using the traditional Hindu myths, such as Garuda, or of other cultures to use the Mythic Yoga path of imagery to point to the realization of the self. The unspoken voice that the intellect cannot reveal but comes from the image pointing to within. Hearing a story within a ritual context such, as a Storytime Yoga® or Mythic Yoga for teens class, provides this experience of yoga. Mythic Yoga is for adults too! Oral storytelling can be used to help kids understand complex issues, such as death, providing emotional yoga connected with gentle yoga asana practices to support the grieving process. Oral storytelling provides intimate connection to the teller as well as trust, enabling kids to verbalize their feelings after a story is heard for emotional yoga benefits. Oral storytelling builds communication skills lacking in millennials, giving them embodied tools to use modern times inhibit. An kids yoga class with oral storytelling at its core gives kids opportunity to practice oral skills and express themselves. North Americans also tend to tell the read from a book story only in parts, then act out the story as it goes along. Kids yoga teachers in other countries I have trained embrace telling the entire story orally first, then acting out the yoga after. This gives kids the benefit of listening and concentration, dharana, dropping them into the trance-like state where philosophical and psycho-social benefits of yoga take place. Acting out the orally told story afterwards also provides lessons in narrative structure, as kids must answer questions about what happens in the story as the "retell" the story with their bodies and yoga. Interactive play has been linked to improving academic performance. Indigenous cultures knew all along that dance and storytelling helps kids learn! Storytime Yoga® Kids Yoga Story Kit The Armadillo Who Wanted to Sing, a folktale from Bolivia, using Kamishibai. If the idea of telling a story without a book or props makes you uncomfortable, here are a few ideas. Try a readers theatre with the Mexican folktale of Ashes From Gold - Las Cenizas por el Oro. Kids can be assigned roles and read the script entirely, then act out the story with yoga using the same roles. Use traditional Kamishibai storytelling cards or East India Scrolls to tell the story. Found in the Storytime Yoga® Kids Yoga Story Kits, these downloadable, printable images can be used to tell the story and the story printed on the back. Instructive pictures join listener and teller together. The unity of these two senses of listening and watching make a powerful, union of speech and image that creates an intimate shared experience perfect for conveying information visually and aurally. It maintains the immediacy of the teller and listener relationship and still activates kids' imagination. Watch this video on how to use the Storytime Yoga® Kids Yoga Story Kits to help you get started using oral storytelling in kids yoga classes. Use the free puppet script based on my song of a folktale, The Golden Fish, from the Storytime Yoga® Peace, for the Children Music CD adapted by Stephanie Stokes of StoryTime Japan, which she used for Asian American book month at the Los Angeles County Library. Use poetry to teach kids yoga classes. I call it Poetry in Motion! Chants are easy to memorize, as are classics. After you've tried the above, try telling some stories orally without books or props. 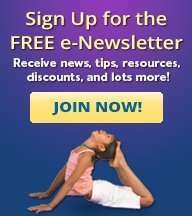 Everything you need to learn is in my books mentioned above, or found for free here or by subscribing to premium content in this blogs, or on the Storytime Yoga® YouTube channel, or the Storytime Yoga® At Home Training Guides. I'll be back eventually to train online, so be sure to sign up for the newsletter! Do tell a story orally! You can save civilization, teach kids peace, health and literacy, and watch your creativity explode as well! Namaste and have a magical day!